Firstly a brief update on planning applications decided by Wirral Council officers affecting Bidston & St. James ward from 1st July 2013 to 11th August 2013. The first is an application type I haven’t seen before called “Planning Pre-Application Enquiry”. Rather confusingly the decision is down as “pre-application reply” (and as it’s not classed as a planning application searching on Wirral Council’s website doesn’t bring up a decision either), but I presume if the applicant gets a positive response indicating that a planning application would be accepted then they’ll then go on to submit a planning application. The second (approved) is for a conservatory in Eleanor Road. As usual you can click on the planning application number for further details on Wirral Council’s website. The third (also approved) is to change Rosemead Residential Home in School Lane back to its former use as residential properties. Again for further details you can click on the planning application number. Unusually there are three planning applications affecting Bidston and St. James ward to be decided by the Planning Committee on Thursday (assuming that the Planning Committee doesn’t decide to go on site visits to them). The first is Keepmoat’s plan to build 125 houses in the Milner Street/Carrington Street/Rundle Street/Laird Street area. A 20mph zone and traffic calming scheme is included as one of the conditions. Merseyside Police’s architectural liaison officer has concerns that the open nature of the scheme may increase opportunities for crime and makes some recommendations. The area of this planning application has had houses partly demolished for some time. As tenants living in the area have been moved out and owner occupiers subject to compulsory purchase orders, it’s part of the reason why many of the nearby Laird Street have closed down. I notice also there’s a recommendation for a s.106 agreement with the developer for a very small area of public open space, although with Birkenhead Park, a play area and a games court nearby that’s why it’s smaller than the size of open space you’d expect for 125 houses. A condition (probably as a result of the police’s concerns about crime) also requires security lighting for the open space and the “proposed link to existing footpath”. Hopefully it’ll get approved (as is recommended by officers) and houses will replace the current eyesore of a site that is currently mud and half demolished houses. 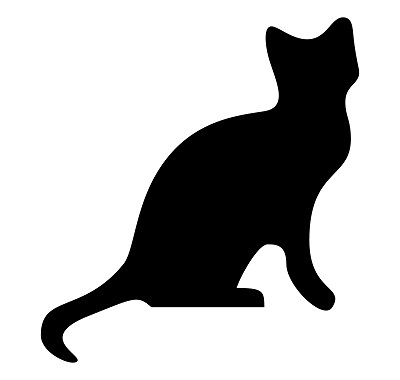 The other two planning applications to be decided by the Planning Committee affecting Bidston and St. James ward are related and are both submitted by the alliteratively named Cosy Cats Cattery Limited. They are planning application APP/13/00688 for a cattery comprising of an outbuilding of fifteen small units to house a maximum of twenty cats and an isolation unit and planning application ADV/13/00689 which is for advertisement consent for a fascia sign and hanging sign (for the cattery which is planning application APP/13/00689). Such minor planning applications would normally be decided by planning officers rather than the Planning Committee, but Cllr Jim Crabtree has removed the application from delegation following one objection to each planning application by the resident of number 2 Eleanor Road. On the planning application for the signs, the resident objects on the basis of illumination of the signs and confusion as to where the signs will be located. However the report states the signs won’t be illuminated. The report also details where (if approved) the signs will be, one hanging from a post 1.8m high and one on the fence adjacent to the driveway facing east towards the cul-de-sac. However the main objections from the resident of number two Eleanor Road are in relation to the proposed cattery (eleven separate objections are listed in the report). The report written by planning officers is of the opinion that the objections raised aren’t enough to refuse the application (the officers also dispute the factual accuracy of some of the objections). It’s therefore recommended it for approval, subject to conditions limiting the number of cats to twenty and the hours of operation to between 8 am and 9 pm. Having a nearby cattery should not be rejected on the grounds that it is simply a cattery. If residents are worried about cats proving to be a menace they ought to look into some cat repellents or deterrents. When it went to the Planning Committee on the 22nd August 2013 (two days after this blog post was written), the planning application for the cattery was approved. However it does have conditions attached to it that limits the permission to a maximum of twenty cats (and no other sorts of animals) and that as it’s in a residential area that people were limited to dropping and collection of their cats to between 8am and 9pm.